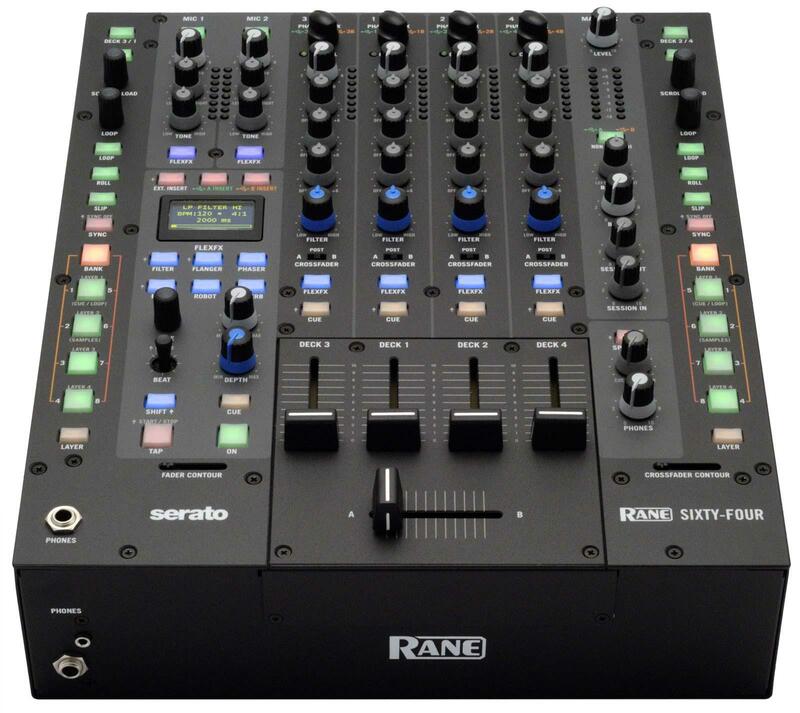 The Rane Sixty-Four is a four-channel club mixer for Serato DJ with dual USB ports, allowing for effortless DJ changeover and back-to-back performance. 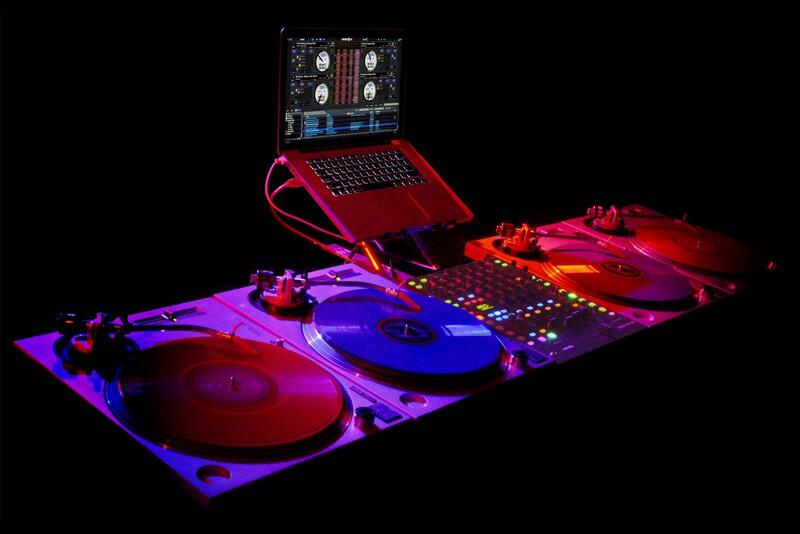 Comes with a range of built-in effects and supports Serato NoiseMap Vinyl/CD control in Serato DJ. Built-in control over 30 powerful Serato DJ features including Library, Cues, Loops, SP-6, Sync, Slip Mode and more. Built to Rane’s high standards of quality and performance. You’ve mastered mixing and scratching on two channels. Pushing the limit is in your nature and it’s time to raise the bar. 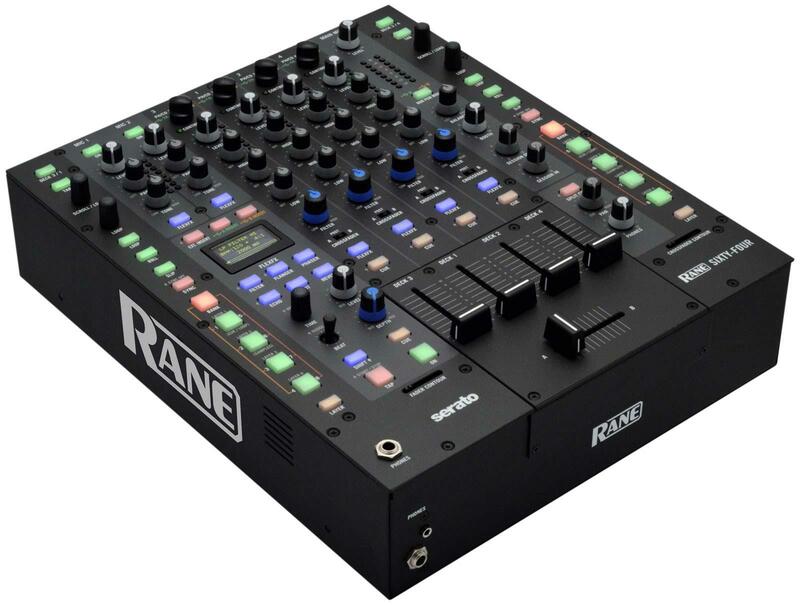 The Rane Sixty-Four mixer is the tool you need to step your game up. More channels, more decks, more effects… Challenge accepted. Mixing four channels requires a wide variety of amazing transition effects, the ability to sync tracks, more flexible CUE and Loop capability and versatile transport and mixing capability. The Rane Sixty-Four mixer and Serato DJ software provide the ultimate plug-and-play package, providing everything you need. The mixer and software will feel familiar and intuitive while providing the advanced features you require to step your game up. All the popular DJ and DAW programs can use the Sixty-Four as a 12-input 10-output sound card thanks to the included ASIO and Core Audio drivers. 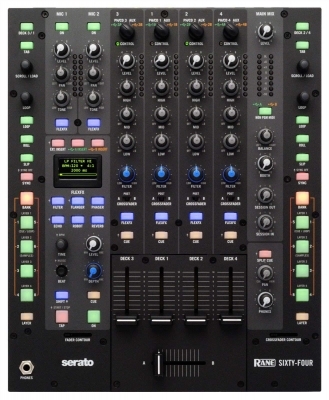 The two USB ports are independent, so two DJs can share the mixer, each running a different program if they like. Why so many channels? The Sixty-Four is able to simultaneously support control-signal pickup and playback for four DVS Decks, provide USB send and return to allow insertion of Serato DJ iZotope effects post fader on your mixer and record the main mix, all at the same time. When not using DVS, it is also possible to record all four decks post fader for music production and mix tape applications. DJ change over is as easy as 1-2-3! With a computer plugged into each USB port, simply switch a mixer input selector to the desired USB source and audio and MIDI are assigned. 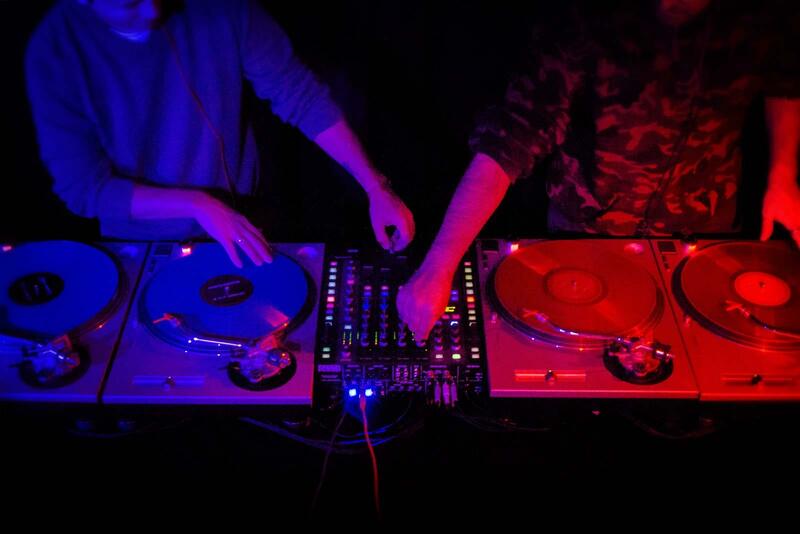 Seamlessly switch from one DJ to the next using any combination of Serato DJ and 3rd party software. Take advantage of the Sixty-Four's tight integration with Serato DJ or Scratch Live and control the software from dedicated, MIDI mappable controls right on the mixer. • Quickly browse your library and crates to load tracks. • Create, modify and trigger your auto loops. • Set and trigger eight cue points and loops on the fly. • Switch banks and trigger your samples with quick and easy to access sample triggers. • Mixer tracks software BPM. ▪ Advanced post-fader FlexFX bus with 6 internal effects, plus USB insert loop for post-fader software effects for each of the two ports. ▪ Two independent microphone inputs with On/Off, Level, Pan, Tone and FlexEX assign for each mic - one with 48V phantom power switch. ▪ New FX, powered by iZotope. For a complete listing of minimum computer specifications, click here.